Addie Moore (Jane Fonda) is lonely and has had trouble sleeping since her husband died. As a result, she decides to pay an unexpected visit to Louis Waters (Robert Redford) believing him to be in the same boat. They have been neighbours for years and yet they don’t really know each other. Their children live far away and they are both alone in their big houses. Addie suggests that they keep each other company and get to know each other better. After all, Addie reasons, you never know where that might lead. Based on the novel by Kent Haruf (and despite its rather unfortunate title), Our Souls At Night is an utterly charming film featuring beautiful and deeply poignant performances from Fonda and Redford. An enchantress casts a powerful spell on a handsome yet arrogant prince, condemning him to lonely life as a terrifying beast and turning his loyal servants into household objects. Their only hope is for the Beast to fall in love and be loved in return before the last petal on a magical rose has fallen. While Bill Condon's Beauty And The Beast doesn’t surpass the original, it sits respectfully alongside it - a loving adaptation that also feels fresh, taking the classic story into places new. Pakistan-born aspiring comedian, Kumail (Nanjiani), connects with grad student Emily (Zoe Kazan) after one of his stand-up sets. However, what they thought would be just a one-night stand blossoms into the real thing, which complicates the life that is expected of Kumail by his traditional Muslim parents. When Emily is beset with a mystery illness, Kumail has to navigate the medical crisis with her parents, Beth and Terry (Holly Hunter and Ray Romano), while dealing with the emotional tug-of-war between his family obligations and his heart. The Big Sick is an utterly charming, brilliantly funny film based on the real-life courtship between Kumail Nanjiani and Emily V. Gordon. Directed by Michael Showalter, the movie was written by Nanjiani and Gordon with the assistance of producer, Judd Apatow. The result is one of the most satisfying and heartfelt romantic comedies that I have seen in years. Film Stars Don’t Die In Liverpool follows the passionate relationship between aspiring actor, Peter Turner (Jamie Bell), and Academy Award-winning actress, Gloria Grahame (Annette Bening). What begins as a vibrant affair between a legendary femme fatale and her young lover, quickly grows into a deeper relationship, with Peter being the person Gloria turns to in her hour of greatest need. Film Stars Don’t Die In Liverpool is not your typical biopic. It is, instead, a powerful and moving love story. Told largely from Peter Turner’s perspective (and adapted from his memoir), the film tells a tale of enduring love - the like of which is often only found in the movies. During the summer of 1983 in the north of Italy, Elio Perlman (Timothée Chalamet), a precocious 17-year old American-Italian boy, spends lazy days in his family’s 17th century villa transcribing and playing classical music, reading and flirting with his friend Marzia (Esther Garrel). However, Elio’s summer is transformed by the appearance of Oliver (Armie Hammer), a charming American scholar who arrives to assist Elio’s father (Michael Stuhlbarg) with his work. Elio and Oliver soon discover the beauty of awakening desire over the course of a summer that will change their lives forever. Truly great cinema is transcendent - able to take us to another place or another time. Luca Guadagnino’s beautiful film, Call Me By Your Name, does both. We are transported to the stunning landscape of Northern Italy and also to the intoxicating emotional landscape of first love. What Is Your Favourite Love Story Of 2017? 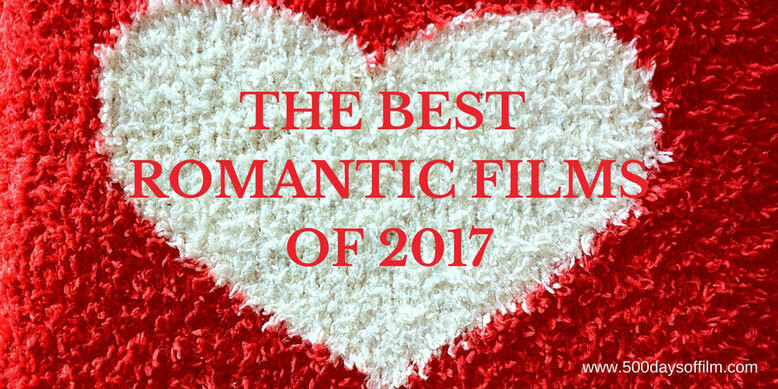 What was your favourite romantic film of 2017? Let me know in the comments section below or via Facebook or Twitter (@500DaysOfFilm). I still need to see all of these. My 2017 viewing experience has been light on romance, so far. The movies I have seen that qualify aren't really any good (ahem...Everything Everything). In other words, I've still got a lot to watch.